Camille Seaman is an award-winning documentary/fine art photographer. Based in Richmond, California, Camille studied photography in college and later took workshops with Steve Curry, Sebastiao Salgado and Paul Fusco. Camille’s work has received numerous awards including the National Geographic Award and the Critical Mass Top Monograph Award and has been published in New York Times Sunday Magazine, National Geographic, Time, Newsweek, and Outside among many others. She was granted a solo exhibit at the National Academy of Sciences in Washington, D.C. Camille is a TED Senior Fellow and a Stanford Knight Fellow. Camille talks to atlas about her unique approach to photography and how she captured these radiant iceberg images. Camille Seaman: I first started photography fourteen years ago when I was in my early thirties. I’ve been getting paid for the last ten years as a photographer. How did photography become a full time career for you? I saw a lot of darkness and cynicism about the war in Afghanistan and asked myself what can I do to speak about the goodness of the planet. I felt compelled to do something. I just knew I wanted to document my experiences, and thus, that’s how I started photography. In 1999, I spent time in Alaska and was curious about what it would be like to walk across the frozen ocean. So I did just that. Because of my experience on the ice, my mother-in-law wanted to go to the Arctic to do a book on my experience. With my cameras, I had the intention to do something beautiful. I fell in love with the Arctic and Svalbard. 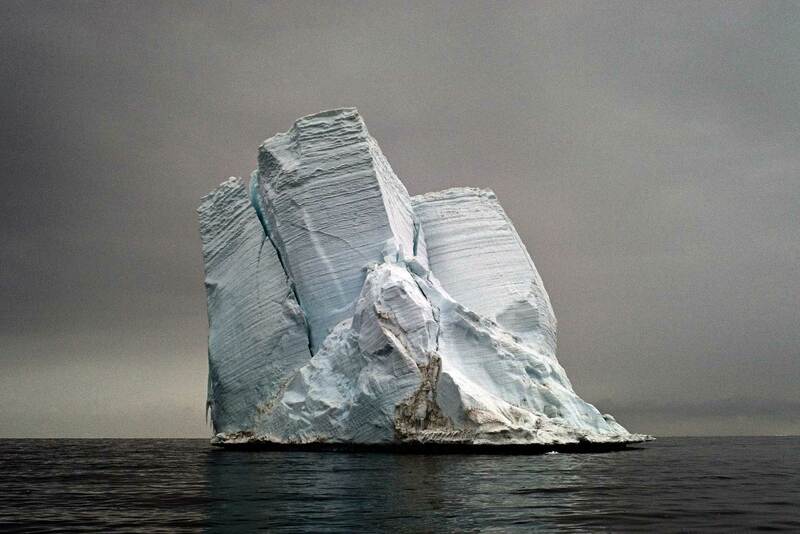 In 2003, I went to Antarctica and captured pictures of the icebergs. They were shown to a staffer at National Geographic, which gave me an award for my work. Thus, a switch came on and then is when I decided to become a photographer full-time. 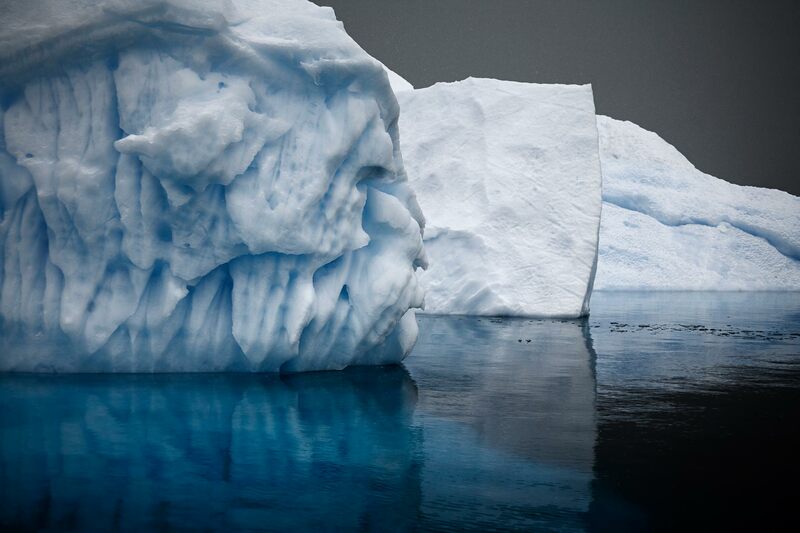 Your “Melting Away” and “Last Iceberg” series are gorgeous and stunning. Your use of color, style, and composition are masterful. What do you look for in your compositions? 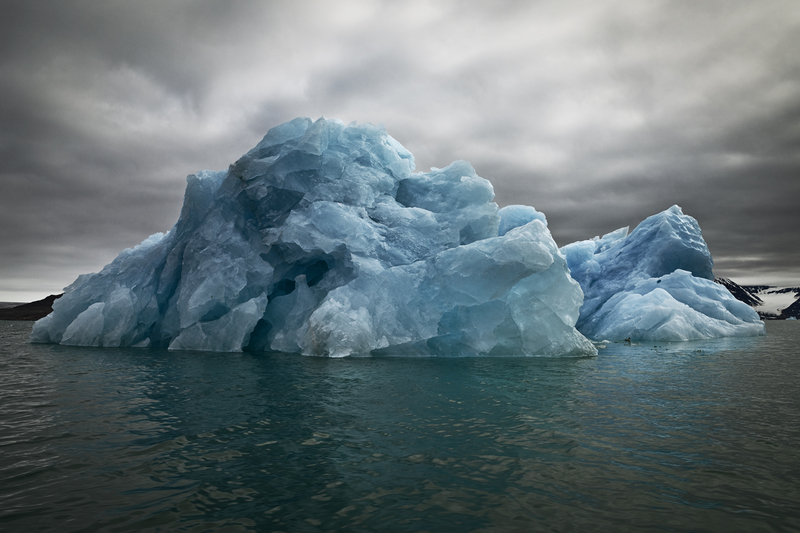 All the iceberg images are shot in stormy and overcast skies. That was not by accident. I wait for the weather before I take the pictures. While shooting, I was on a ship and waited months at a time that gave me the light that others may not experience who cannot wait months. 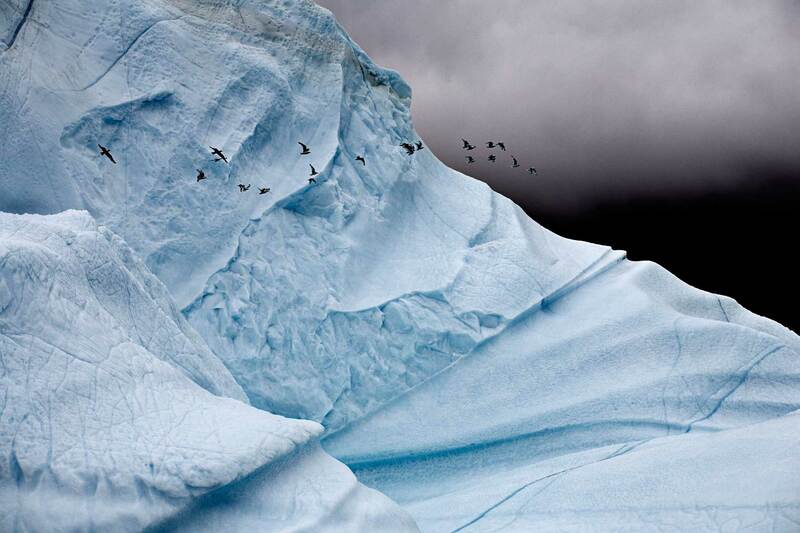 The stormy and overcast skies activate details on the icebergs that one may not see when it is sunny. Because I was on the ship, I had no control of where I am, where the ship it at, and where it will go next. So these images were made while I was standing at the bow or the stern and seeing what came by. Other times I was on the Zodiak, which is a much smaller boat so I was able to have some say about where the boat went. In terms of my approach to photography, I 1) react to the light, 2) am composing on where I am at and what the current situation is, and 3) ask myself what is the best way to capture the iceberg in this light? You have received so many awards, a Ted Fellowship, and was granted a solo exhibit at the National Academy of Sciences in Washington, D.C. What is your reaction to all this praise for your work? When I speak to students, many do not know why they want to be photographers. It astounds me. They do not stop and figure out what they want to photograph. As someone in my early thirties, I knew exactly what and where I wanted to photograph. My mission was twofold: First, I want to photograph about what is beautiful about life. Second, I also knew where I wanted my work to be seen and where I did not want it to be seen. When that switch came on, I knew exactly where I wanted my work displayed which was at places like the National Academy of Sciences. Overall, my success is due to my clear intention of what I wanted to do and where I wanted my work to be seen. You have only one soul and you cannot let it whittle away little by little. At the end of the day, I have to be true to myself and perform with integrity. The same is true of my photography. Are there any photographers who influenced your work? If so, who? There are three photographers who have influenced me. The first was Ed Butynky in Toronto. He does amazing and powerful work on what we do to our landscape and how they have altered it. He has completed a documentary on China and another one on water. He was a huge influence. The second photographer who has influenced me is Steve McCurry. When I was starting out, I called every single photographer whose work I loved including Steve McCurry who did Afghan Girl. Steve told me I had to come out with him to Tibet. So I did from 2004 to 2007. McCurry showed me 1) what good light is, 2) knowing what good light is, and 3) connecting with people. 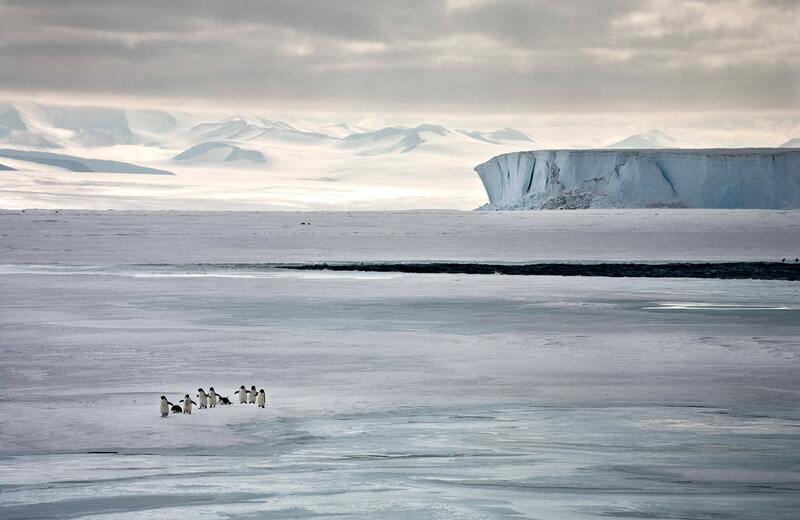 When Steve saw my iceberg images, he told me that there were people who took photos of icebergs and there was me. That was the biggest compliment. Teru Kuragama is the third. He is old enough to risk his life in dangerous places like Afghanistan with toy cameras. Teru’s images have a soul to them and are so powerful. He has given up shooting for now and currently works at Facebook’s photography department. You shoot in both film and digital. Which do you prefer and why? I was slow to embrace digital. I loved the process and the slowness of film, but I could not check in my cameras or my film at the airports. The airlines sort of dictated what I shot. Since 2009, I have been shooting mostly digital. I prefer digital because the quality now is such that you cannot tell the difference between film and digital. For more information about Camille, visit her website. All images © Camille Seaman.